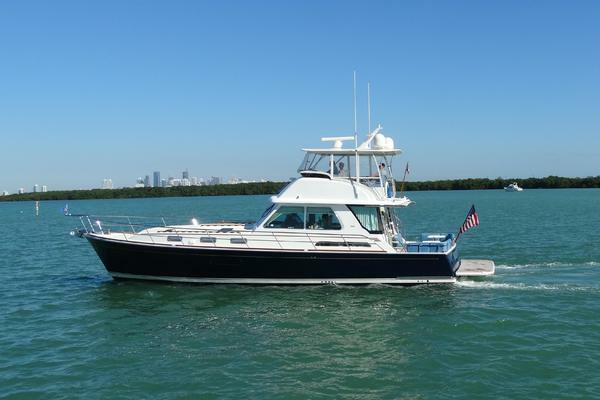 Sabre Yachts are perhaps one of the most well-known downeast-style boats on the water today. The classic Maine "Lobster Boat" as they were once called, are designed to handle choppy seas while keeping the captain and guests comfortable to enjoy their day on the water. Since 1970, Sabre Yachts have been crafting some of the most luxurious trawler yachts in the industry. Based in Maine, the company’s founder, Roger Hewson, set out to build the finest 28-ft sailing yacht, which enabled him to produce 29-45 foot sailboat models for the next forty years. In 1989, the “Fast Trawler” was introduced and made the Sabre name become a prominent one. In 1995, Sabre then obtained North End Composites of Rockland, Maine – a large manufacturer of marine molds and fiberglass parts. Having this relationship allowed Sabre to produce powerboat models from 38 to 66 feet with Salon Express and Fly Bridge variations using up-to-date technology and production line methods. Now Sabre acquires two boat yards, one in Raymond and the other in Rockland connected by their sister company, Back Cove Yachts. Sabre and Back Cove employ what they call “boat parents” – these are employees who follow each boat through the manufacturing process and act as the eyes of the consumer. In order to correspond to this process, all boats are given a 600-point inspection over six separate stages, which ends with a twelve-page report to be inspected. This cycle led to the Sabre name having a reputation – a company that values its product to the most extremes. Throughout the years Sabre has become a well-known and established name by listening carefully to its owners and dealerships. Continuously refining their product, Sabre has taken pride in designing and manufacturing boats that make sense to boaters. Offering cruise speeds of 25 knots with top end speeds in excess of 30 knots, Sabre models have established themselves to have top quality features and innovative designs. From her functional foredeck to her top-of-the-line deck hardware, the 66 Dirigo is the largest and most luxurious Sabre motor yacht to date.  Debuting in 2015, the 66 is the first American-built Downeast-style motor yacht of this size. Making great impressions for any boat goer, the 66’ offers a spacious and comfortable cockpit that is suitable for any social gathering. Entering the saloon via two glass sliding doors with stainless frames, you will see an unusually open floorplan with light shining in from the glass doors aft, three windshield panes forward, and the super-sized skylight. Cherry cabinets and fine granite countertops are placed throughout making every detail catch the eye. The helm deck is elevated with a three-person L-shaped settee, which is made with classic blue leather. Below deck in the accommodations, you can find a surprising amount of standing headroom within the midships master and a VIP stateroom with a walk-around queen bed. Underway, this model powers along, smooth and strong making it a lovely ride in any condition. Crafted by boat builders with decades of experience, her systems are modern and functional making this model one of the best from Sabre Yachts. Sophisticated and welcoming, the 54’ Flybridge was created to offer not just a boat, but also a truly luxurious experience. Completed with a L-shaped settee and captain and mates seating, the 54’ creates an enhanced cruising experience for any boat owner. Featuring three berths, two heads, a half-up galley, and a spacious salon – this model is perfect for those looking for that weekend getaway or cocktail cruise with some friends. The cherry joinery in the salon glows from the effects of the outdoors coming in. Among the salon sits the galley a few steps down, which features clean lines and top appliances that can be seen with the light pouring through. Plenty of stowage can be found in the forward stateroom, with an opening overhead hatch and an ensuite head with a circular door. Not only are the accommodations appealing, but the engine room features gelcoat interior and diamond plate sole. Easily accessible, the engine room displays state-of-the-art equipment, and most notably has low noise. This model is no stranger to those who appreciate high standards for a downeast-style boat and will provide a smooth, enjoyable cruise. An ideal combination of evolution and revolution, the 48 Salon Express is most notably known for its exterior profile that gives credit to her performance. 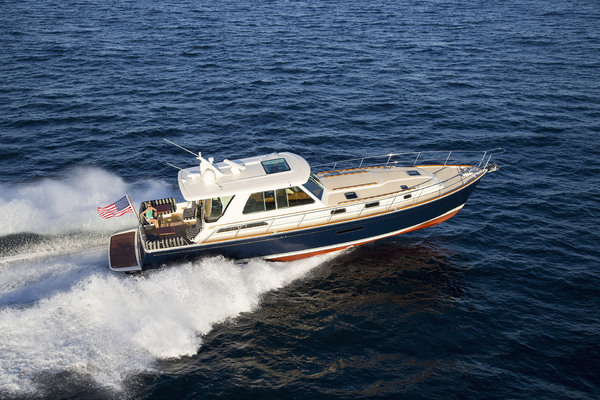 Cruising at 27 knots with an open throttle, the 48 can even reach up to 32 knots comfortably. Low sound levels make this model easily enjoyable while cruising, while the pod drives and joystick controls give every boat operator confidence to dock her in any condition. Designed with light and space in mind, the two cabin, two head layout is supplemented by a utility space forward of the engine room that can be used as additional crew space. The galley-down layout allows guests to enjoy preparing food and drink for any gathering. The cockpit also offers a welcoming surprise by displaying a one-level arrangement that works extremely well for entertaining and allows for a seamless transition from the swim platform to the salon. Additionally, the 48’ does a superb job in creating the feeling of openness by including an optional sunroof that can be opened with the aft window lowered – offering plenty of breeze flying and saltwater aroma from the outdoors. Every detail included works perfectly creating a timeless, elegant, yet contemporary design. Established as being an excellent day boat and coastal cruiser, the Sabre 42’ offers panoramic views and was built with comfort in mind. The Sabre Salon keeps the spacious layout in the interior and on deck – giving owners comfort, luxury and ample options for entertaining and socializing. Surrounded with windows, the salon features cherry wood and fiberglass walls throughout the main cabin, which is exposed with light through the triple-paned windshield and large side windows to the aft. From the captain’s chair, there is a 360-degree visibility making it easily manageable and enjoyable. The 42’s aft deck will not disappoint with its L-shaped settee that includes an oval table and two-person bench settee that can seat up to six guests. Storage space can be accessed through the galley, that includes stainless drawers and granite counter tops. Below deck, you can be transported into the world of traditional New England craftsmanship and sensible design. Satin varnish and quality woodwork raises the level of luxury throughout the cabin. 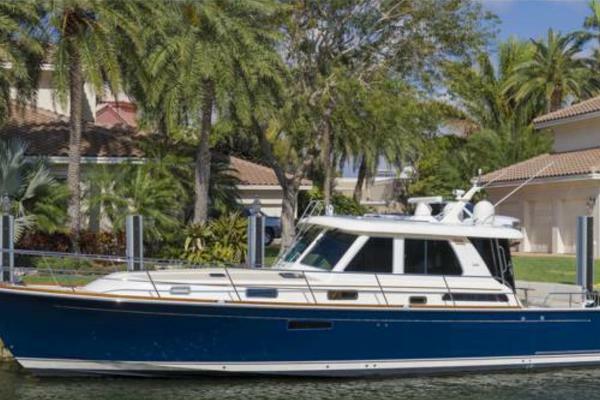 This model begs its owners to enjoy the cruising life as well as appreciate those fine details that Sabre is known for.